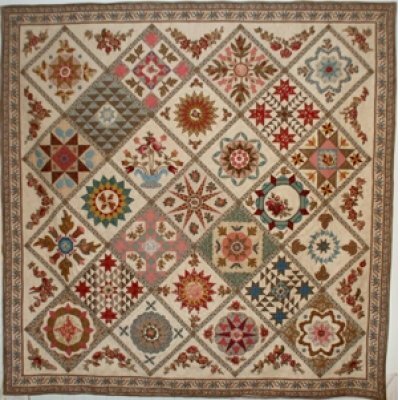 Finishing at 83” square, Antique Wedding Sampler is one of Di Ford's most recognized quilts and it's showcased in the Primarily Quilts book. Our customers have been begging us to offer a Di program again and with her Windermere line now shipping, we're ready to go! You’ll need Di’s book for the pattern. Many of you already have it, but if not, order it here. Then, join us in making the 25 blocks and the setting elements for this quilt. We’re dividing this program into 15 installments so you can complete the quilt in a reasonable time without being overwhelmed. In month 1, you’ll receive a background kit including 4 ½ yards of Di's mini dot in Latte, 3 yards of the Windermere teal floral and fabrics to make the first block. By the end of the program, you’ll have everything needed for the entire top and binding. This includes the 2 1/2 yards of a Di stripe for the outer border. Each monthly kit will be $15.95. Month 1 will be $94.95 as it includes all the background and broderie perse fabric. Refer to the swatch image above for the colors of Windermere. This line is a little lighter and brighter than the fabrics Di used in her original quilt. We'll primarily use Windermere along with other coordinating prints as required to recreate the blocks similar to the original. 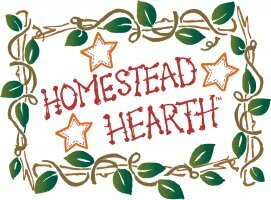 All of our Special Programs or Monthly Programs require a commitment from you for the length of the program. Signing up for a Block of the Month is the same as putting a quilt on "lay-away". 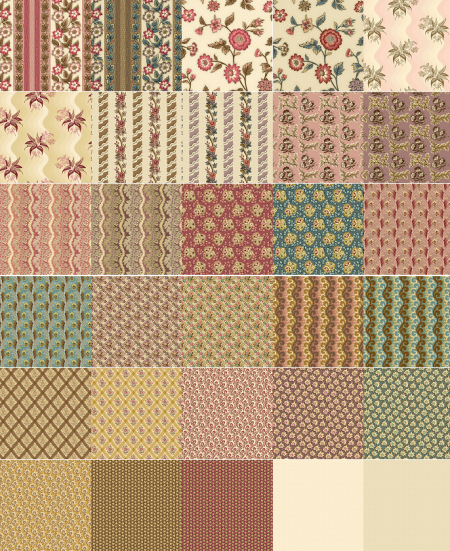 You are making a commitment to purchase the entire set of patterns or kits. There are NO exceptions to this rule, so please don't ask if you can discontinue a program once you've joined in. We will call you to obtain monthly billing information after we receive your order as Paypal cannot process our monthly charges.